This notecard is simple and sweet! The font choice here is classic, with a thin underline. Printing in a bright color with a matching liner gives this letterpress stationery a modern feeling. 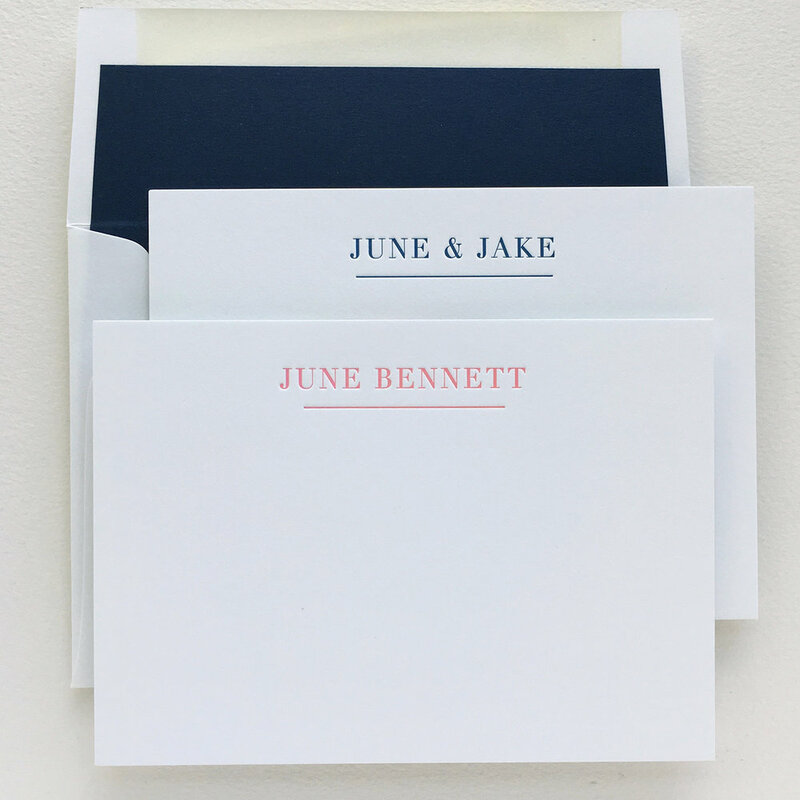 These cards are perfect for wedding thank you notes, or personal stationery.